The SPYPhone® allows you to listen to any internal pipeline travelers in motion. It is not a geopphone. 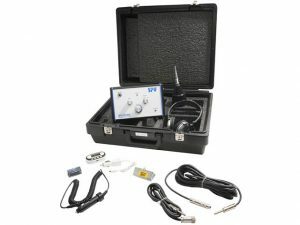 The pick-up sensors cover a wide range of frequencies from 1Hz– 20KHz. 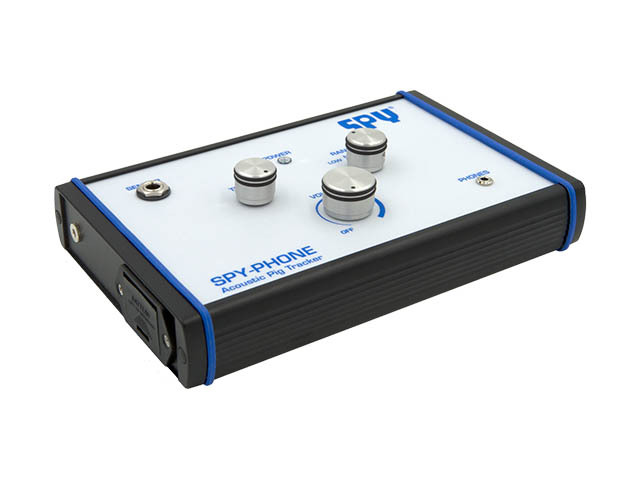 The SPYPhone® also allows the user to set and restrict multiple frequency ranges. The versatile pick-up sensor, which comes with a 3” contact spike, can also be magnetically attached directly to exposed valves or pipes. You may also securely attach the sensor to a steel probe. The 12-volt auto adapter allows you to listen from the comfort of your vehicle. Plug in the full-spectrum FM transmitter and you can listen for pipeline travellers through your sound system.